Running alongside many movie-contenders, this one might get the cut. Yeah, it looks a little schmaltzy. A little too girly. 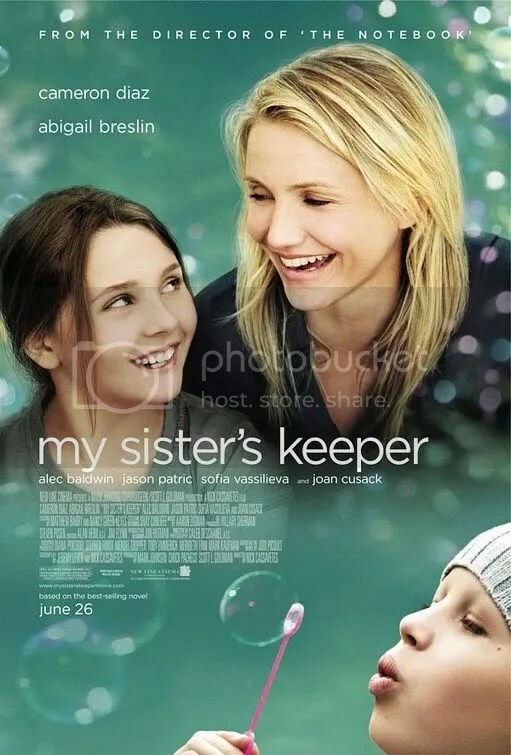 I’m still not convinced about Abigail Breslin in a leading role or Cameron Diaz in a non-comedy. But I read this book so many years ago, when I was still in high school. My mother read it and handed it to me. My sister, Betsy, got it next and it made her cry (and she does NOT cry over books). Someone is reading it in my house… it could be Betsy again, or maybe sister Caroline… but ever since then, the females in my family have been attuned to Jodi Picoult and waiting for this movie.